Presented by Sue Nelson, Richard Hollingham. The Space Boffins get to see inside the NASA’s famous Vehicle Assembly Building at the Kennedy Space Centre - a building so large that it has its own weather system. It’s being adapted so that NASA’s Saturn V replacement the new SLS or Space Launch System rocket will be built. The senior NASA engineer who’s overseeing the project, Ken Tenbusch, gives Richard Hollingham a personal tour. Back in the studio Richard and Sue (Nelson) are joined by rocket expert David Wade and Oliver Morton, author of The Moon: A History for the Future. 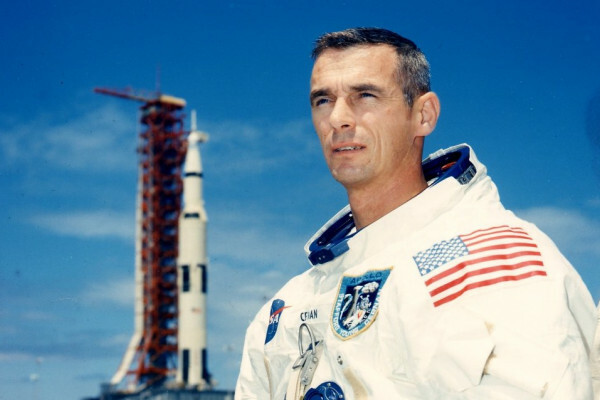 There’s also an insight into Gene Cernan’s experience during Apollo 10 from an interview recorded with the astronaut shortly before he died to celebrate the upcoming 50th anniversary of the mission. The San Andreas' fault - or ours?